This post is dedicated to mamas who do what it takes to help their children have the best lives possible. It’s for moms who are perfectly imperfect and don’t always get it right. It’s for mothers who stand by their children and remind them that they are loved, even when the world around them tries to diminish their worth. It’s for anyone who plays the role of mother in the life of a young person and helps them find their greatness. 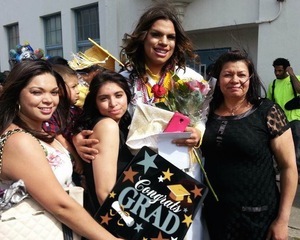 The following notes from transgender and gay activists express love and gratitude for three of these women. I hope they touch your hearts as they have mine. Tu superpoder es amor. Your superpower is love. Ever since I was little there was one person who showed me unconditional love. She showed me how be strong and how to properly flip a tortilla. She did everything possible to keep a roof over our heads, food in our stomachs, clothes on our backs, and love in our hearts. She showed me the importance of remembering where you come from. Every step of the way she was there for me, at times when I was lost she was there for me even tho she might have been as lost as me. She made an effort to try to support me, she went to find an education that was kept away from her. She learned what LGBT is and she showed me. I remember having long talks in the kitchen where she went over new things that she learned whether it was a new word in English or a new term in LGBT. I am proud of you mama. The one who never gave up, the one who always was willing to learn and educate. The one that was a beacon of hope and light for other parents who were lost in the darkness of ignorance. She is the one that showed me that my true value was defined by none other than myself. You are that person mami, eres tu la persona que me inspira a ser la mejor persona que pudiera ser, me enseñaste ser fuerte y poderosa. Y por eso siempre vas a vivir en mi corazón. You inspired me to be the best person I could be, you taught me to be strong and powerful. And for that you will always live in my heart. 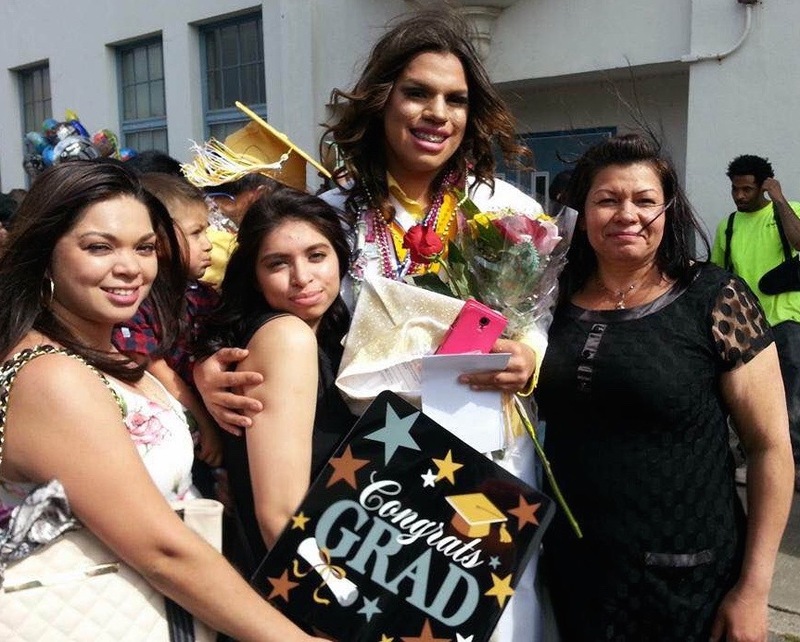 Rexy Amaral Tapia is a 19-year-old Latina transwoman, Her biggest hero is her mother Alicia. I imagine that raising a kid like me didn’t always feel comfortable. You were a 32-year-old professional woman with a husband and daughter already, and being the mother of a soon to be black gay boy was the farthest from your plan. I recognize I came with no instructions. As a child I watched you defend me when your instincts hadn’t provided you with the language to do so; falling into the social melodrama of being a mother of an unusually sensitive son, you protected me always. There were times I thought you deserved to be frustrated with always having to “figure it out”, yet it was also in those times when you appeared most compassionate. I see you as a renaissance warrior. It takes a hero of a woman to raise a child in the best care her circumstances can afford and you reared me in a full-bosomed, nurturing kinda way—there was a bounty of love in every scolding you gave and for 3 meals a day you gave me wisdom on each plate. What I cherish is how you’ve never allowed me out of your sight without filling me up with guidance. How you’ve always given your best even when in struggle. 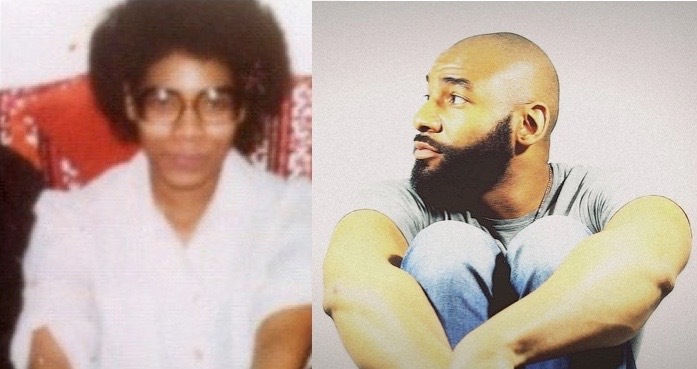 You were forced to make a decision about how to love a gay child of color in America when raising a black man was already pressure enough and you were triumphant, Ma. How you found the capacity to love me, I will never know. But I am grateful that you did. Ken Williams is an HIV Activist and award-winning video blogger Ken Like Barbie. Happy Mother’s Day! I have the greatest fortune of being your son and getting to experience your love. I have watched you become an amazing voice in the LGBTQ community and to see you fight for me so that I can have the best life possible. There aren’t enough ways to say how grateful I am for that. I know that I don’t always say, “I love you,” but I want you to know that even when I don’t say it out loud that I do. I love you for holding my hand when I was feeling anxious. I love you for standing by me when I came out as trans and taking care of me after top surgery. I love you for always reminding me that I am loved no matter what. And even though you do all these awesome LGBTQ things that I also love you for, I love you for just being my mom. I don’t know where I would be without the love and support you have given me. You are always there to support me in the times that I struggle, and are there to celebrate the times where I succeed. Thank you for loving me unconditionally. I love you the most! 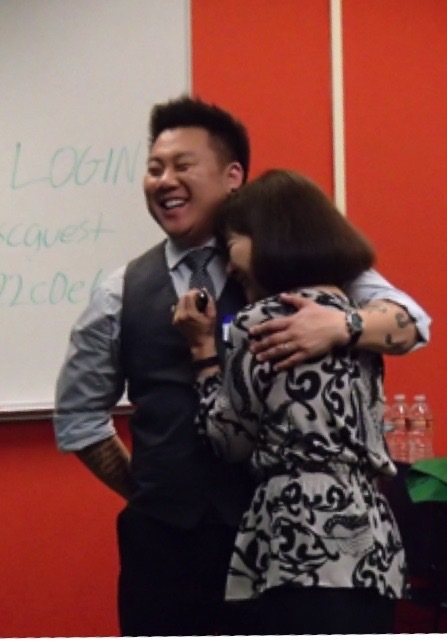 Aiden Takeo Aizumi is a Japanese American transgender activist and graduate student in the Educational Counseling Program at the University of La Verne. Coming this summer: One of a Kind Like Me/Único Como Yo, a bilingual children’s book about a little boy who wants to be a princess in the school parade.